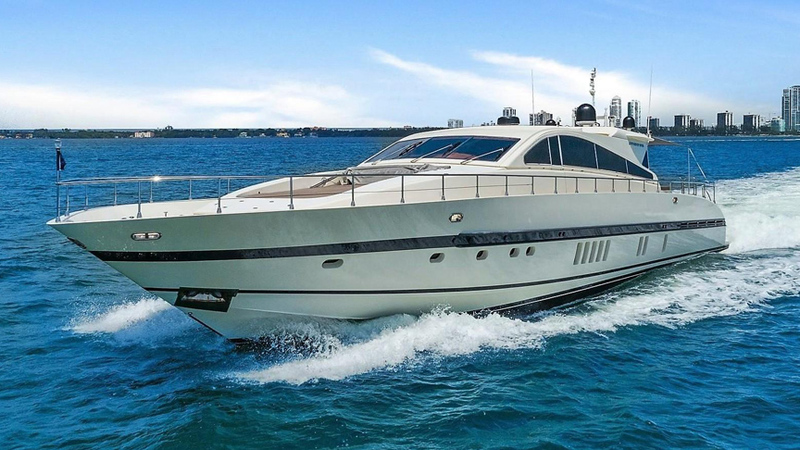 This 88′ Leopard Open is the quintessential Miami Sports Yacht. Expansive indoor/outdoor sunbathing areas, a sleek wraparound bar, and a giant sunroof transforms her into a completely open cruiser. B&W /Dedon Sound System and Apple TVs. Arneson Surface drive propulsion with a mere 4ft of draft.